The law firm of the Law Offices of David Niose, located in Fitchburg, MA, is highly experienced in dealing with insurance companies and in working through the legal processes necessary to achieve successful results for victims of personal injuries. For a combined 25 years, lawyers David Niose and Paul Groark have used the knowledge gained in working for insurance companies to work for maximum financial compensation for victims of truck and car accidents. We also represent injured pedestrians. Injured in a truck or car crash? Call the Law Offices of David Niose for experienced, aggressive representation. 978-343-0800 or 1-800-921-0800. A truck, bus, or commercial vehicle accident can change your life forever. Injuries such as neck and back injuries, broken bones, burns, paralysis, and paraplegia are all too common. You may require a lifetime of care even as you lose the ability to work. We will investigate whether more than one party could have some liability for your injuries. Since driver fault is only one of many things that could have contributed to the accident, we will determine whether the bus or trucking company, a maintenance facility, or even a manufacturer of a faulty truck part could be liable. We are dedicated to aggressively pursuing maximum compensation. Were you hit by a car while crossing the street or walking on a sidewalk? Do you need help paying medical expenses after a car-bicycle injury? Contact a lawyer who has the experience and knowledge pursue maximum compensation for your losses. Attorneys David Niose and Paul Groark and our legal team know how to determine whether a pedestrian or bicycle injury was caused by a negligent driver or if it could be the result of municipal liability. We have a successful track record of dealing firmly with insurance providers and getting compensation for people injured as pedestrians or while riding a bike. Our client, a retired woman, was struck by a truck while walking in the parking lot of a shopping plaza in Fitchburg, Massachusetts. She suffered a broken arm and multiple bruises and contusions all over her body, with complications including infections that required hospitalization and extensive treatment. 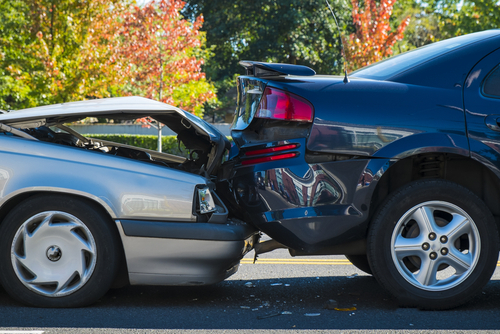 What happens when you’ve been injured by a driver who is uninsured or underinsured? What happens when your injury is caused by a hit-and-run driver? In situations such as these in Massachusetts, you can usually still get a settlement utilizing a coverage called “UM” insurance. UM requires an insurance company to stand in the shoes of the at-fault party to compensate you for your injuries, even if that company didn’t actually insure the at-fault party. Attorney Niose has been handling UM cases since 1986, so he knows what needs to be done to get you the recovery you deserve. Our client was seriously injured when her car was struck by another car driven by a negligent young driver in Fitchburg, MA. The at-fault party had only minimum insurance policy limits of $20,000. We were able to locate Uninsured Motorist coverage to provide additional coverage for the client, resulting in an additional payment of $500,000. If you have questions regarding a truck or car accident or 18-wheeler wreck, contact us. We offer free initial consultations, are available for weekend and evening appointments and can visit your home or hospital. We receive no fee in personal injury cases unless we win a financial recovery. To contact us, call 978-343-0800 or 1-800-921-0800. Our attorneys can come to your home or hospital to discuss your potential case.